Get involved!!! A â€œNew Yearâ€™s Resolutionâ€ I wish you would all make!!! A few years ago I made up my mind that it was time for me to give back to a sport I had gotten so much from over the years. 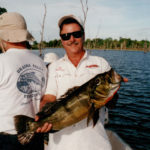 Years of enjoyment of the outdoors, Years of catching fish, Years of exploring new lakes, that kind of enjoyment. 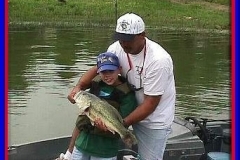 I decided the way I could put something back for future generations of anglers was to get involved with Texas Black Bass Unlimited. Since that decision, I have participated in a number of projects that have the potential of returning huge rewards in improving our environment, fishing and boating safety. 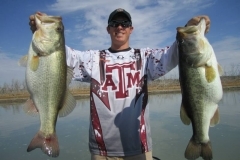 Projects like â€œMarking the River Channel on Lake Livingstonâ€ and the â€œAquatic Habitat Restoration Projects on Lakes Livingston, Conroe and Lewisvilleâ€ hold the greatest potential for rewards. Along with a dozen other dedicated T.B.B.U. members I helped raise the funds for and supervised the marking of the river channel on Lake Livingston in 1993. From the Highway 190 bridge to the Highway 19 bridge the Trinity River, which feeds Lake Livingston, winds through miles of flooded timber. The run up the river, to great fishing areas on the north end of Livingston, was treacherous for years and claimed many lower units and boat hulls. For well over 15 years running the river north of 19 bridge was dangerous, at best. After the â€œChannel Marking Projectâ€ the river channel was clearly marked and much safer to run. A reasonable person would have expected that the Trinity River Authority or the Livingston Chamber of Commerce or the Texas Parks & Wildlife Department or the U.S. Coast Guard would have initiated this project. 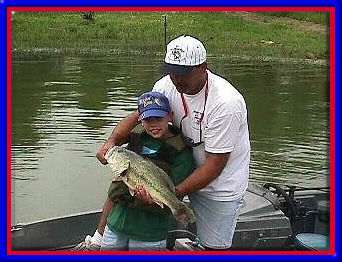 Texas Black Bass Unlimited initiated and organized this project and should be very proud of it. Leaders in the fishing industry funded the project with contributions of Bass Boats, Outboard Motors and Fishing Tackle. 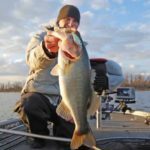 Leaders like Mercury Outboards, Skeeter Boats, Ranger Boats, Astro/ProCraft Boats, Bass Cat Boats, Bliss Murski/Strike King Tackle all contributed the funding for this project. There is no way to measure how many lives might have been saved by this project and Iâ€™m VERY proud to have been a part of it. The project I am most proud to have been a part of is the â€œAquatic Habitat Restoration Project for Lakes Conroe and Livingston.â€ Eighteen years ago Lake Conroe was full of Hydrilla, full of Bass and Crappie and the water was so clear you could see fish making beds on the bottom in 8 feet of water in Peach Creek. 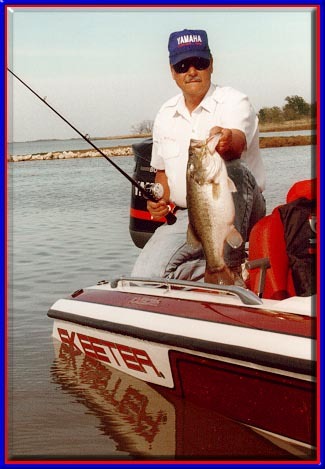 In those days I lived in Houston and would frequently drive up in the afternoon after getting off work and fish for a few hours before dark. It was nothing for the average occasional angler to catch a limit of 10 nice bass in an evening. 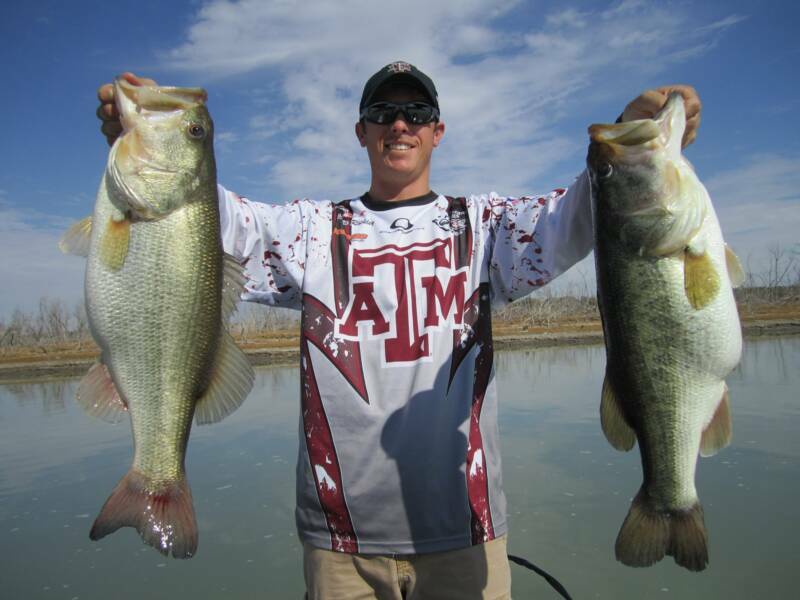 A good angler would catch several limits of quality bass. Crappie were stacked on almost every tree. 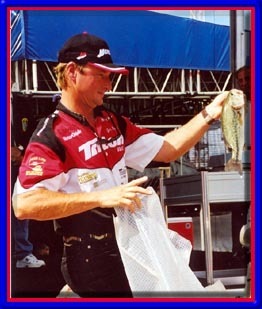 If you drove across the bridge to Loch Ness Marina after dark in the summer or spring you would always see lanterns hanging from several trees in the cover and Crappie fishermen catching Crappie by the ice chest full. 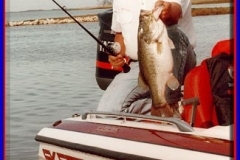 Lake Conroe was such a great fishing lake that moved to a waterfront home there. When the grass was still in the lake, my kids could set on the shore and watch schools of small fish swim up and down the shallow clear water inside the weedline. 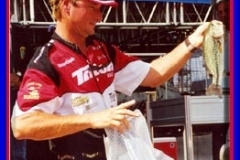 Then came the tragedy that fishermen all over the United States would talk about for years to come. A few greedy property developers wielded their political influence with the State and had the Hydrilla killed and introduced enough White Amur Grass Carp to keep the lake de-vegetated to this day. Now the water is so muddy and dirty you cant see six inches down, on a clear day. There are no fish swimming up and down the bank behind me house and the average angler couldnâ€™t catch a limit of Bass or Crappie in a week, much less an afternoon. An environmental tragedy beyond my ability to describe. You can easily see why I was so excited to be a part of restoring Lake Conroe to what it had been when T.B.B.U. started the â€œAquatic Habitat Restoration Projectâ€ on Houston area lakes. 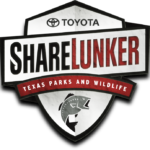 We raised, with the help of those same generous fishing industry leaders that had helped us with the â€œLake Livingston Channel Marking Project,â€ over $80,000.00 and began construction of â€œNursery Plotsâ€ for Native Aquatic Vegetation on Lake Conroe. T.B.B.U. members teamed with Texas Parks & Wildlife employees to wade muddy coves and hand planted Native Vegetation in Nursery Plotsâ€ around the lake. After a few months the results of all that hard work became dramatically evident. When you visited the coves, closed with a chain link fence there was clear water, teaming with small fish and other aquatic life, behind the fences. Outside the fences the water remained muddy and any vegetation trying to grow beyond the fences was sheared off by Carp, like hedge shears had been used on it. 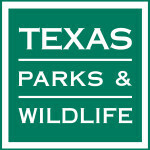 Most important, about this project, was that it was the seed for Texas Parks & Wildlife Department starting a statewide re-vegetation program to restore aquatic habitat in other lakes around the state. When itâ€™s my turn to go the â€œBig Pond,â€ aside from my wonderful family, Iâ€™ll be most proud of this accomplishment!!! I hope youâ€™ll join us in our next project.